Compact, comfortable to wear and easy to transport small items safely, the Beetle Day Pack is great for day to day use. 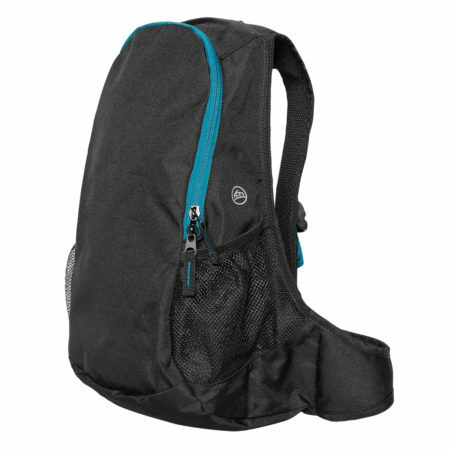 This promotional backpack has plenty of features to keep you happy including padded mesh straps and back padding, expandable side pouches, two way zippered front compartment and more. At 19L, this the Beetle Day Pack is a great option for everyday use. The branded Beetle Day Pack comes in three colour combinations – black/grey, black/blue and black/red and offers plenty of potential for your branding. With options for either a transfer print or an embroidered logo, your brand will stand out. Promote your brand and provide your customers with a durable and good quality day pack with the branded Beetle Day Pack. Ultra compact, technically designed to protect and transport those smaller essentials safely and securely. Features include two-way zippered front compartment and expendable side pouches.